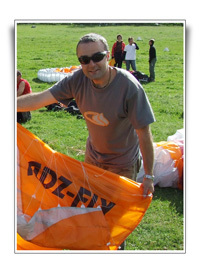 ADZ-FLY is a paragliding school which is providing superior and complex services to all. ADZ-FLY is offering tandem flights. You, experienced tandem pilot and flight in the sky. Unrepeatable experience which you can’t forget! ADZ-FLY is selling paragliding equipment from the best producers. ADZ-FLY team are experienced and top level paragliding pilots with long-time experience in the scope of competition and tandem flying. As we want all the best for you the main focus is on the safety. Safety is guaranteed by quality of our pilots and instructors as well as superior and certified equipment which we use.